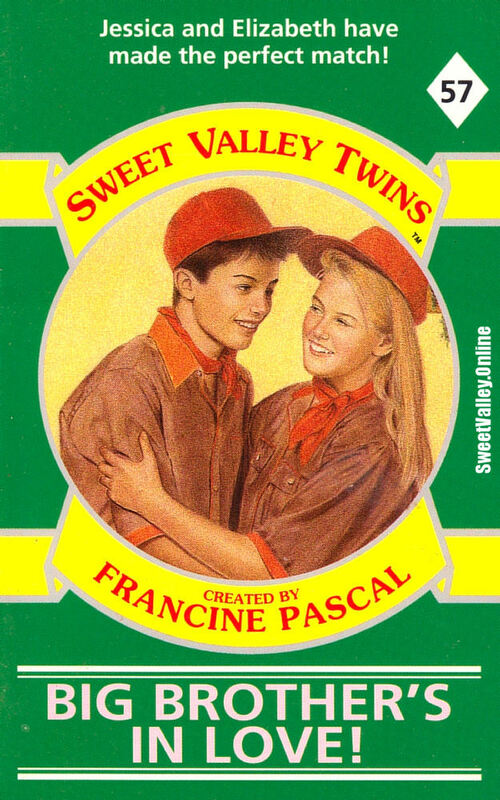 Sweet Valley Twins #57: Big Brother’s in Love! Title: Big Brother’s in Love! 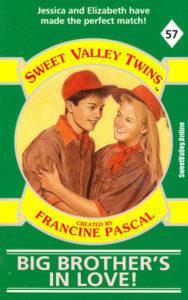 The twins think Cathy and Steven make a perfect couple, but Steven only sees Cathy as his friend. Can the twins help turn a friendship into true love? I don’t really like matchmaking stories, and I’m already annoyed by the mere premise of this book. This is going to be great.